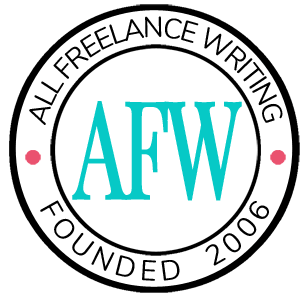 Today we kick off our new series exploring various types of writing freelancers may have an interest in pursuing. Evan Marshall, creator of the Marshall Plan for Novel Writing and the Marshall Plan Software and author of two mystery novel series and several nonfiction books, is our guest. 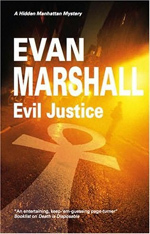 Marshall's latest novel is called Evil Justice, a book in The Hidden Manhattan Mysteries series. He not only writes novels, but his Marshall Plan books are designed to help others outline and draft their own stories (I used his plan in 2004 to outline the novel I'm currently, slowly, drafting and I wholeheartedly recommend giving it a shot if you haven't developed a system of your own yet.) He also blogs--and being able to adapt readily from one style to the next successfully is certainly promising for freelancers looking to pursue other avenues for their writing in the future. What originally drew you into writing fiction? As a teenager I was a voracious fiction reader and dreamed of one day publishing a story that would magically move and entertain people as books had done for me. One especially inspirational moment was when I met the late Pearl Schiff, bestselling author of the blockbuster Schollay Square, who I discovered lived around the corner from me in Sharon, Massachusetts. She gave me tea and said that if I never gave up and never stopped learning, I would succeed. She was right. Many freelance writers dream of someday writing a novel, although much of freelancing involves writing short pieces of nonfiction. As someone who has published novels, nonfiction books, and who even blogs, how difficult is it to move from one format and style to another? I find it surprisingly easy to move from fiction to nonfiction to article-length blogs. They all use different mindsets. For nonfiction I’m most concerned with helping people, imparting all the valuable information I can. For fiction I’m most concerned with giving people a great time. And for blogs I want to quickly give them a useful or entertaining “nugget” of some kind they can take away. I confess my favorite form of writing is fiction. As someone who helps new novelists get off on the right foot with your Marshall Plan, what are some of the biggest challenges you see writers face when working on their first novel? Coming up with something fresh and new within the constraints of their target genre. Doing the work to learn what kinds of novels in their target genre editors are buying. Learning to actually write well—the nitty gritty of the words themselves. Getting out their own way. By this I mean developing the ability to look at their own work objectively. This is the hardest one. With freelancers often having to squeeze their novel writing ambition in around other full-time work, what advice would you give them about sticking it with it? While things probably vary from writer to writer, do you think it would generally be easier to stick with novel writing part-time writing a little bit every day, writing for longer stretches on days off, or some combination? Definitely some combination. Most of us have “day jobs” and personal commitments that make it hard to get those long stretches. So most writing gets done in little pieces stuck in between things. Stretches are a bonus but you can’t wait for them or you’ll getting nothing done. If you could offer first-time novelists one piece of advice on getting started on that novel they dream of writing, what would you tell them? Where should they start? Narrowly target a specific genre of novel (ideally one you love to read) that editors are currently looking for. Sounds simple but most writers don’t do it. That’s the easiest way to make that first sale. To learn more about Evan Marshall, The Marshall Plan, Evil Justice, or check out the novel writing blog of Marshall and Martha Jewett, you can visit WriteANovelFast.com. Interesting bits of information for those freelancers (such as myself) contemplating writing a book. The best take-away was Marshall sees it easy to shift from one format (magazine, blog, books) to another. Too often, people get stuck in just one “gear.” Having a 5-speed gearbox makes the drive so much smoother. I find there is no “right” time to write – as Hemingway said: “There is nothing to writing. All you do is sit down at a typewriter and bleed.” I’ve just set aside a period each day when I open up Word and write something – it can be a page, a couple sentences, or rewriting what I wrote yesterday – but it has become a routine I follow whether the muse is with me, or not.